Establishing customer trust in an online vendor requires the provision of an environment in which customers can overcome their fear and reluctance about shopping transactions by forming trust and positive perceptions about the online vendor. This paper studies the impact of the colors of e-commerce websites, as an atmospheric variable of the interface, on customer trust. The effect of the colors of e-commerce websites on customer trust has only been indirectly examined in terms of website characteristics, such as website quality and usability, where color is viewed as a key interface attribute. Thus, the relationship between color itself and trust remains largely under investigated. 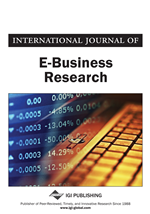 To address this gap, this paper presents an exploratory qualitative study on how customers develop trust in an online vendor, as a result of the colors of the e-commerce website. The empirical findings provide theoretical and practical implications regarding the effect of web stores color on trust. Trust has long been recognized as a critical success factor for e-commerce (Torkzadeh & Dhillon, 2002), with surveys showing that the success of online shopping websites is mainly due to their earning the trust of users. At the same time, the lack of customer trust, identified as one of the greatest barriers inhibiting online commercial transactions (Hoffman et al., 1999; Dayal et al., 2001), continues to be high (eMarketer, 2008). Building customer trust is still a major challenge for online vendors and remains an open issue as to how it can be accomplished within an ecommerce environment. The e-commerce website is the primary interface between the customer and the online vendor (Gefen et al., 2003). As such, with the absence of physical contact as in traditional contexts, an e-commerce site becomes a key means for judging an e-vendor’s trustworthiness. It is therefore important to understand how a web store influences customer trust in the online vendor. As a research topic in literature, the effect of an online store on trust has been addressed to a limited degree, with respect to website characteristics, such as perceived site quality (Kim & Tadisina, 2005; Corbitt et al., 2003; McKnight et al., 2004; McKnight et al., 2002) and ease-of-use (Chau et al., 2007; Gefen et al., 2003; Koufaris & Hampton-Sosa, 2004). Although such factors are important for designing web stores that enable a trust-building customer interaction, they are largely generic, in the sense that they do not explicitly involve specific interface characteristics, such as color. Color has been identified as a pivotal component of e-commerce websites (Lemoine, 2008). Among the various variables supporting a positive customer experience in an e-commerce website, color plays an important part. Aware of the significant and widely known impact of the atmosphere inside stores on the prospective buyers’ activities and behavior in a traditional buying context (Kotler, 1973; Donovan & Rossiter, 1982; Filser, 1994, 2003a, 2003b; Lemoine, 2003), there is a need to investigate how trust is affected by color, as an atmospheric variable and as a component of e-commerce interfaces. The role of color has been shown to be important for the readability and memorization of the information, information seeking and navigation within a web vendor site (Pelet, 2008, 2010). These color-dependent factors constitute or are closely intertwined with antecedents of trust, which are associated with a web vendor’s site. This implies that color could be related to trust, as it is a key attribute of website characteristics that have an effect on trust. However, color has only been implicitly associated with trust. The relationship between color itself and trust remains largely unaddressed. Color, as an important interface variable in e-commerce, is expected to be an important antecedent of customer trust in an online vendor. In particular, color could have an effect on customer’s trusting beliefs in an online vendor, specifically, the beliefs in the vendor’s benevolence, competence, integrity and predictability. However, our knowledge regarding the effect of color on trust is incomplete. Although several studies provide valuable insights for the effect of a vendor website on trust, they seldom include color. At the same time, our understanding of the importance of color as a variable of e-commerce websites atmosphere is rather limited. There is a lack of research on the relationship between color and trust.